Petai, also know as Stinky Bean, is an acquired taste similar to Durian and Bitter gourd. This humble bean when eaten, much like garlic and onion, it leaves a scent in the mouth and body after hours. However, did you know that this bean in comparison with Apples, has 4 times more protein, over double the amount of carbohydrates, 5 times the vitamin A and iron, and two times as many vitamins along with other minerals. So does that makes you want to give Petai a try? If yes, do not skipped this recipe! 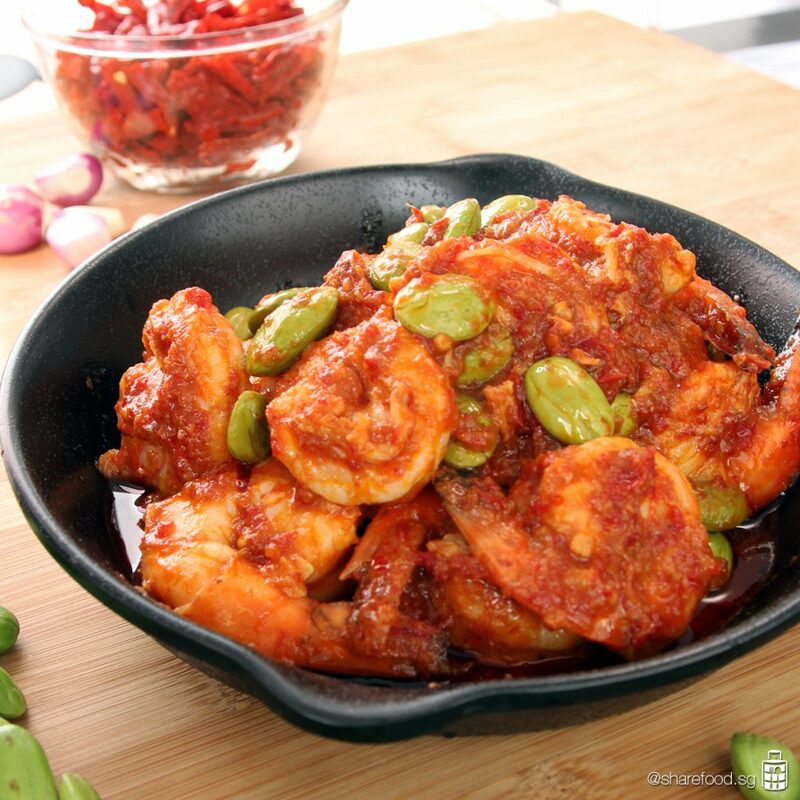 This ohh-so-delicious Sambal Petai with Prawns recipe is contributed by Mdm Molly Leong, a Perankan home cooks, who cooks this dish on a monthly basis to satisfy the craving of her family members. 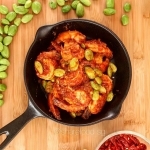 The spiciness well-balanced with the sour taste from the Assam Juice, cooked with the freshness of the prawns is a great combination, and Petai adds the additional punch that enrich the flavor. We cooked this dish twice over the weekend because this dish is truly "Once you pop, you can't stop!". That's how much we love it! Yums!